In hospitality industry, supplementary services facilitate the use of core services and these are the support services to be used as bundled with core services in order to increase the brand image. In supplementary services, the hospitality industry provides the information, order taking, billing and payment as the facilitating services and enhancing services of the hospitality management industry are the consultation, hospitality and safekeeping (Byrd et al., 2016). Grace Hotel in Sydney fails to provide the supplementary services due to unskilled employees and the brand image of the organisation is degrading. The research approach is a procedure which consists of the steps of assumptions to the process of data collection, interpretation and analysis. The research approach is of mainly two types; deductive approach and inductive approach. In this research, the researcher will select the deductive approach as it develops the hypothesis based on the existing theories. 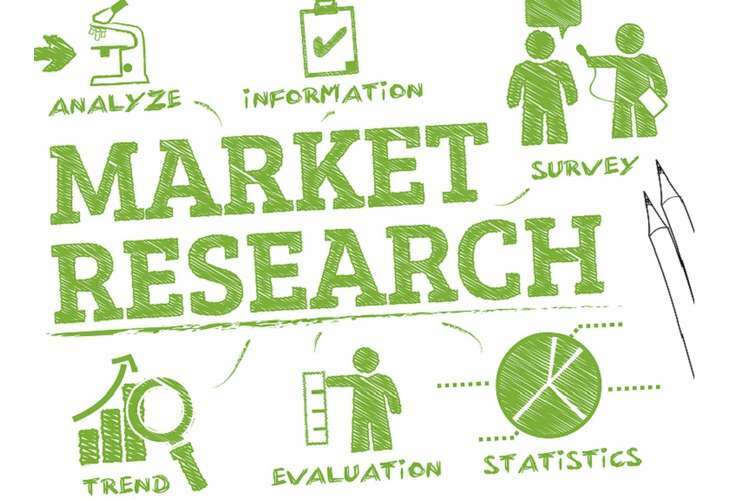 The topic of the research is to analyse the impact of supplementary services on the brand image; therefore, there is a huge amount of data already present to use for the theories purposes. In addition, the deductive approach discusses the subject matter from particular to the general. The deductive approach will further help the researcher to explain the causal relationship between the variables and concept. The deductive approach helps to measure the concept in quantitative data analysis process (Mackey and Gass 2015). In this research, the researcher will use the research design for the systematic data collection purpose. The research method is a systematic strategy which is used to implement the plan of the research. The research will use the descriptive research method to closely review the sample of the research. As opined by Scheurich (2014), descriptive research design is a scientific method that involves in describing and observing the behaviour of the population without impacting. Descriptive research method will be useful to understand the influence of supplementary services in the brand image of the organisation. In this research, the observational method will be selected to record the data of the participants. The researcher will collect both primary and secondary data to conduct the research. The researcher will collect the primary data by conducting the survey. The researcher will prepare 12 close-ended questions to conduct the survey using the survey form (hard copy). The researcher will use some of the questions using a Likert scale giving options to the respondents. The questionnaire will be segregated into two parts; demographic and subjective. Additionally, secondary data will be collected from books, journals, magazines, online articles, websites and government reports. The researcher will collect the survey data from the guests of Grace Hotel in Sydney. The sample population of the study will be guests at the Grace Hotel. On average, during the peak season, more than 400 guests accommodate in Grace Hotel. The researcher is aiming to collect the data from the guests using Simple Random sampling technique. In simple random sampling, every individual in the population has an equal chance of being selected in the sample. Selection of the individual in the sample is depended on probability (Clemence et al. 2014). The sample size of the research will be kept as 150 as the researcher is expecting to collect data from at least 150 guests of Grace Hotel in Sydney. The researcher will use the hard copy of the survey form as a sample frame. The researcher will ask the respondents to provide an answer to each of the questions. The researcher will collect the primary data by conducting the survey. The data collected would be numerical data. Quantitative research will be conducted collecting the data from the survey. As stated by Chow et al. (2017), quantitative data are the numerical data which can be calculated by taking help of statistics. Quantitative research is the empirical investigation of systematic observable phenomena which can be analysed using the statistics, conceptual technique and mathematical calculation. The researcher will collect the percentage and statistics in the form of numeric yield from the unbiased result which can be generalized to some larger population. The researcher will put the survey result data into the database and this data would explore through text, visual-based data and narrative. In this research, the data will be gathered using organization structured research instruments. The result of the research will be based on the sample size and research study will also usually be repeated and replicated in high reliability. The researcher will collect the data from the survey and the data will be put into excel sheet. The researcher will be using data from the excel sheet to segregate the data based on variables. The researcher will use SPSS 2.0 software to do the correlation and regression analysis. Data correlation and regression helps the researcher to segregate the data into several factors of variables. SPSS software is a platform which offers advanced statistical analysis with vast machine learning algorithm, open-source extensibility and text analysis. As opined by Taylor et al. (2015), correlation and regression are two analysis which is based on the multivariate distribution. The reliability of the data will be based on the Cronbach's alpha which measures the internal consistency and it is how the closely related set of items can be grouped. Cronbach's alpha is considered as the measurement of scale in reliability. Grace Hotel in Sydney is a five-hotel and major guests in Grace Hotel are foreigners. The foreigners would respond to the survey conducted by the researcher. The foreigners like to have the supplementary services and supplementary services either facilitate the use of core services or these services can enhance the core services as well. Facilitating services in the hotel are the order taking, billing, payment and information, whereas, enhancing services in hotels are associated with the consultation, hospitality, safekeeping and exceptions. Along with these services, the guests in the hotel like to have the personalised services. If the services in the hotel can satisfy the guests, it would definitely improve the brand image of the hotel. The guests expect that supplementary services for the guests who stay in the hotel would be free and these would be included the price of the room. Supplementary services please the guests and the guests give a higher rating to the hotel as a result of better supplementary services. The guests of Grace Hotel might be having both core and supplementary services from the staffs and the guests expect better services from both front stage and backstage staffs. 1. Byrd, E. T., Canziani, B., Hsieh, Y. C. J., Debbage, K., & Sonmez, S. (2016). Wine tourism: Motivating visitors through core and supplementary services. Tourism Management, 52, 19-29. 2. Chow, S.C., Shao, J., Wang, H. and Lokhnygina, Y., 2017. Sample size calculations in clinical research. Chapman and Hall/CRC. 3. Clemence, A., Doise, W. and Lorenzi-Cioldi, F., 2014. The quantitative analysis of social representations. Abingdon: Routledge. 4. Mackey, A. and Gass, S.M., 2015. Second language research: Methodology and design. Abingdon: Routledge. 5. Palinkas, L.A., Horwitz, S.M., Green, C.A., Wisdom, J.P., Duan, N. and Hoagwood, K., 2015. Purposeful sampling for qualitative data collection and analysis in mixed method implementation research. Administration and Policy in Mental Health and Mental Health Services Research, 42(5), pp.533-544. 6. Scheurich, J., 2014. A research method in the postmodern. Abingdon: Routledge. 7. Taylor, S.J., Bogdan, R. and DeVault, M., 2015. Introduction to qualitative research methods: A guidebook and resource. New Jersey: John Wiley & Sons.